Aww, she looks so cozy and happy to be alive. The best thing about this whole look is her smile. She’s comfortable, quietly confident, and cute all at once. 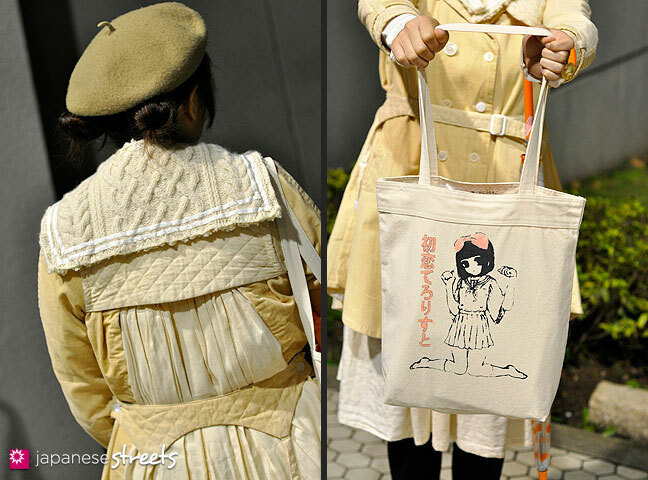 Her canvas bag is also really cute. 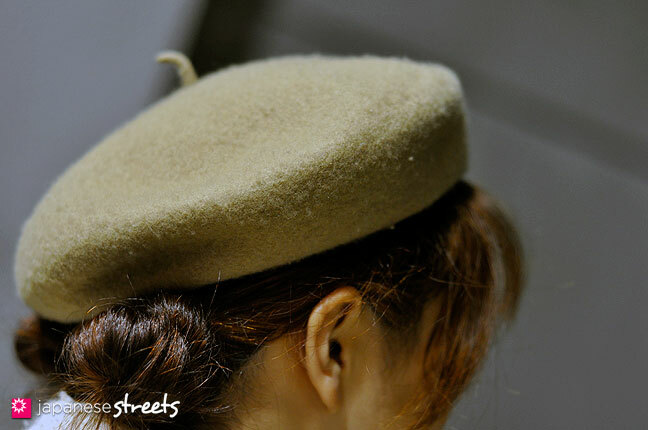 Her beret is awesome! It looks so cute with her hair! 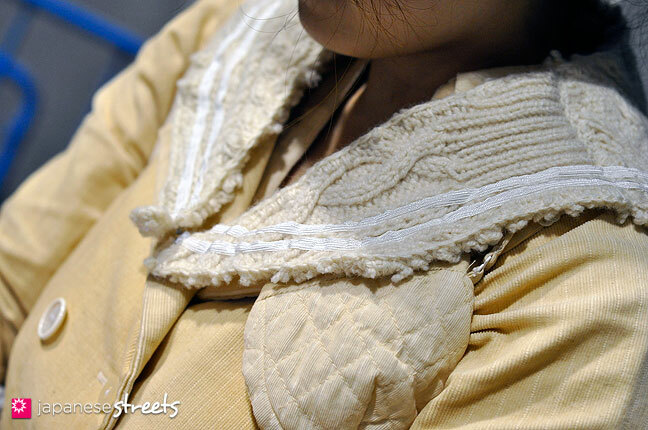 I really really love the detailing going on in the coat. It almost looks like the sailor collar is removable, but then it wouldn’t be as adorable. The mix of textiles and the tiny element of a garter belt is very intriguing. @Leah B. & Etsune: Yes, it painted a smile on my face, too. Nice one, Etsune! 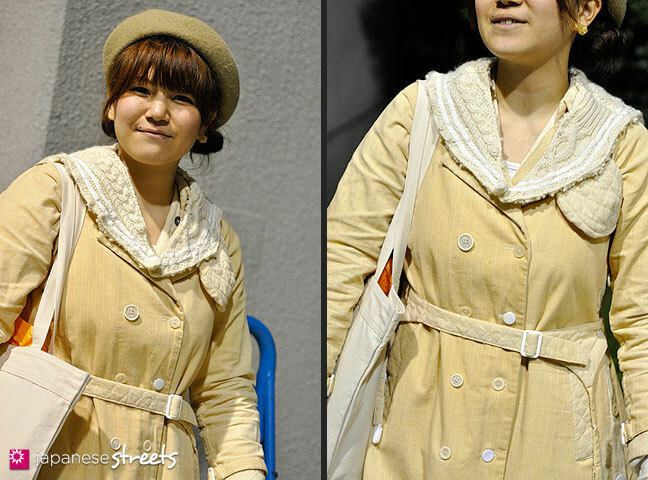 @petitesam: Mai shot Kaho and I wasn’t there, but it looks like the collar can actually be removed and was bought separately. There is a separate price for it: Collar – keisuke kanda – JPY 18,000.
great mix of styles that for some reason just work together! What would you use it for if you did use it? 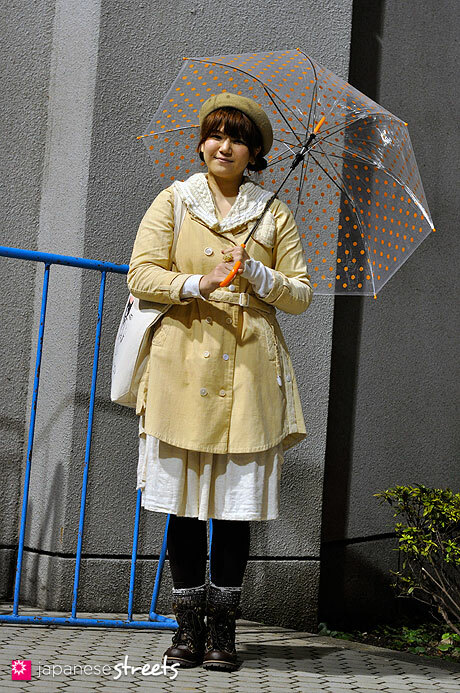 Where can I get that umbrella?? @Nicole: That umbrella is fun, eh! You can get similar ones through our ebay affiliate store. I made a special search for polka dot umbrellas for you. You have to go page by page to find cool ones, but I am sure you will find some that tickle your fancy. @Etsune:Always, thank you for a lot of comments! Keisuke kanda-san, please check JS! 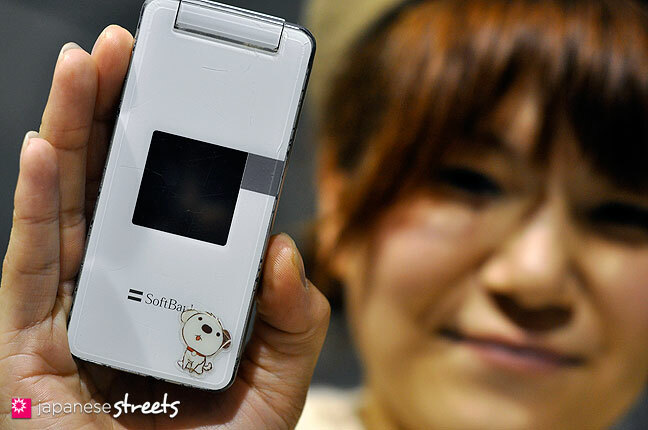 And, please design the panda motif. @Kjeld: And as of right now, I am contemplating whether or not to buy a pair of shoes. They are kind of expensive, but I may get them….Not to be rude and spamish (and if you don’t want me to do it, then i promise not to do it again…), but can I get a quick opinion from you? These shoes are expensive and I don’t want to regret buying them… Thank you. 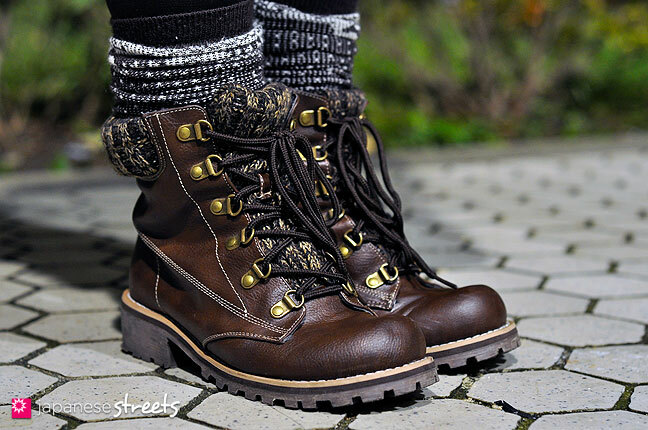 It all depends on what you want to wear them with. And I think the most important thing is how you feel about them yourself, and if you think they are worth the money. I don’t think it is a good idea to buy something because other people say it’s cool or looks good on you. You end up becoming blind to your own needs and likes, and you’ll never develop your own style.